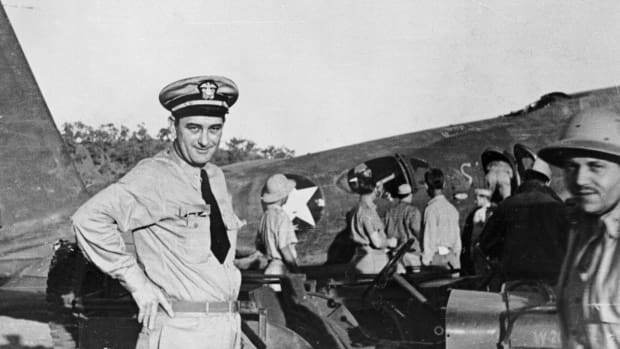 After serving in the military, the future 35th president worked as a foreign correspondent. It was 1945, and Berlin lay in ruins. The bombed-out houses and destroyed streets left a deep impression on a 28-year-old reporter who had come to Germany on assignment with a Hearst newspaper. 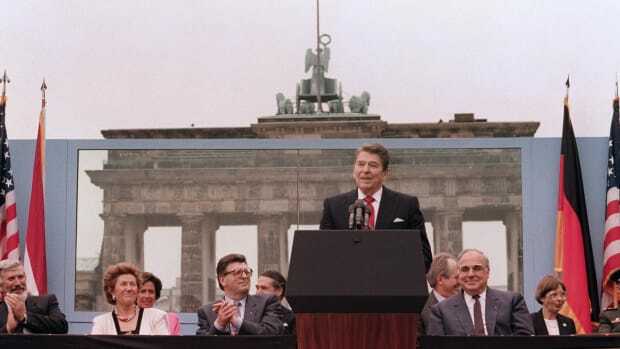 He had been tasked with covering the Potsdam Conference, in which the “Big Three”—the USSR, Great Britain, and the United States—would determine the final fate of Germany and how Europe would begin to recover from World War II. No one knew it, but this cub reporter would one day be in a position to put his own mark on global affairs. He was John F. Kennedy, and during the summer of 1945, he was a journalist. 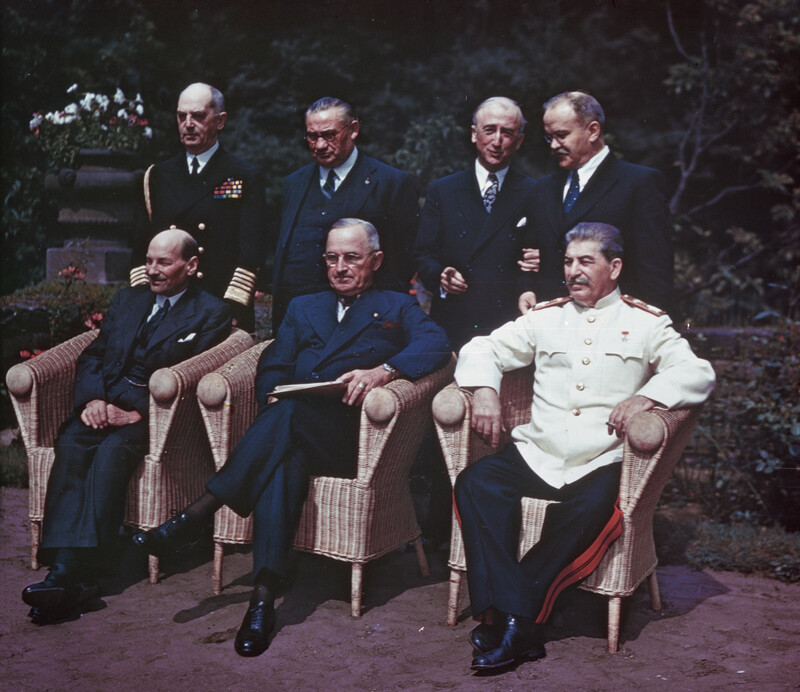 The "Big Three" seated for photographers before the final conference meeting at Potsdam: (L-R) Prime Minister Clement Attlee of Great Britain; President Harry Truman of the United States; and Soviet Premier Josef Stalin. 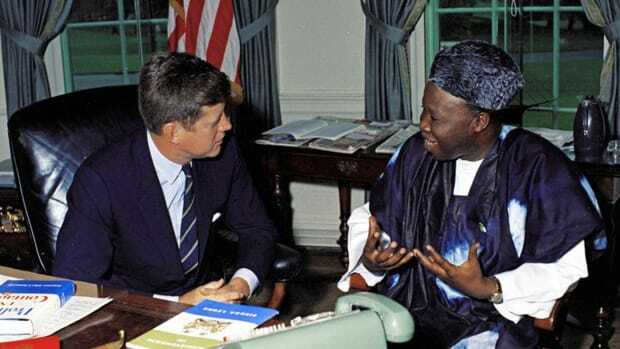 As a foreign correspondent for the Hearst Newspapers, JFK attended the first meeting of the United Nations, the Potsdam Conference, and other noteworthy moments that marked the end of World War II. 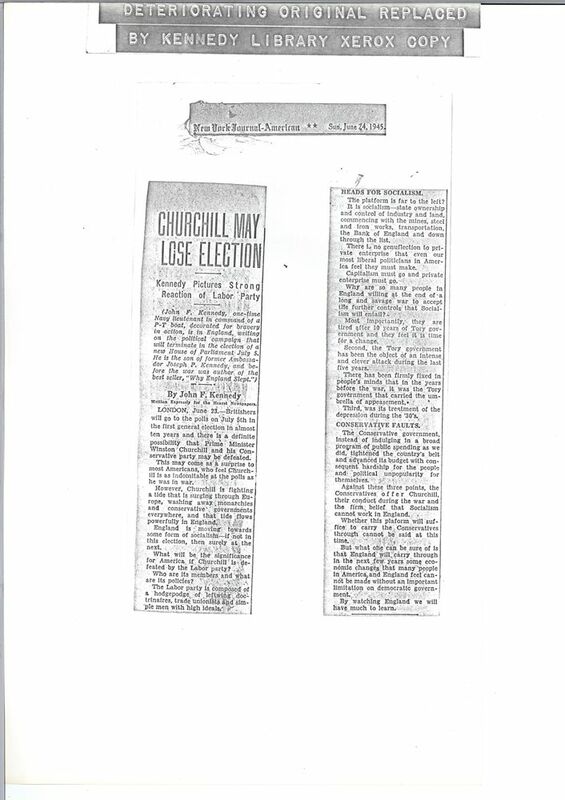 The future president&apos;s time as a reporter was brief, but his experiences in journalism and observation of world leaders like Winston Churchill would shape his views of politics and foreign policy for the rest of his life. 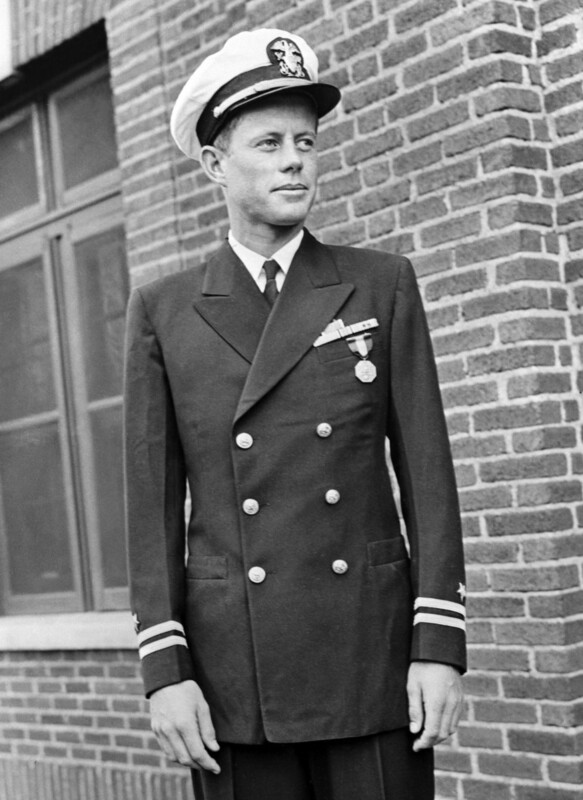 Earlier that year, Kennedy had been honorably discharged from the U.S. military after earning a Purple Heart and a Navy and Marine Corps Medal for heroism after he helped his crew survive being stranded at sea after their boat collided with a Japanese destroyer. After getting injured in the collision, Kennedy realized it was time to choose his next step. War hero, and later president, John F. Kennedy was Lieutenant when this photo was taken in 1944. He wasn’t interested in some of the obvious choices, like business or law school, but was unsure what to do next. His father, the influential politician Joseph Kennedy, worried that his son needed something to do. So he called his friend William Randolph Hearst. Hearst was arguably the most famous figure in news at the time. He owned Hearst Communications, a vast media empire, and was busy rebuilding it after narrowly avoiding business bankruptcy in the 1930s. Hearst was glad to lend a hand to his friend, and John was soon employed as a foreign correspondent for Hearst Newspapers. Joe hoped it would inspire his son to enter politics, and knew that keeping his son’s name in front of the public would help burnish his reputation. 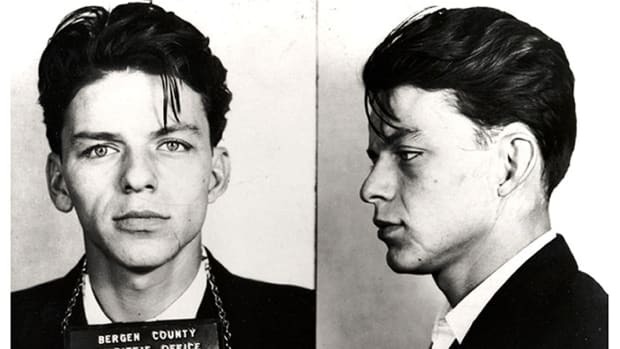 But John took the assignment seriously, and started work in April 1945, publishing columns for the Chicago Herald-American and the New York Journal-American. 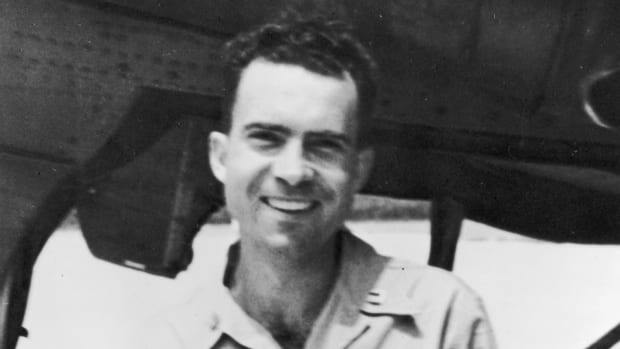 His assignment widened over the summer, and he covered both the UK general election in July and the Potsdam Conference in Berlin in July and August 1945. In fact, he was already a published author: In 1940, he had published Why England Slept, his senior thesis written at Harvard University. The book, which looked at why Great Britain underestimated the threat presented by Adolf Hitler and failed to stop World War II, was dismissed by some as a vanity project financed by John’s father. But it sold 80,000 copies and turned John into a young celebrity. 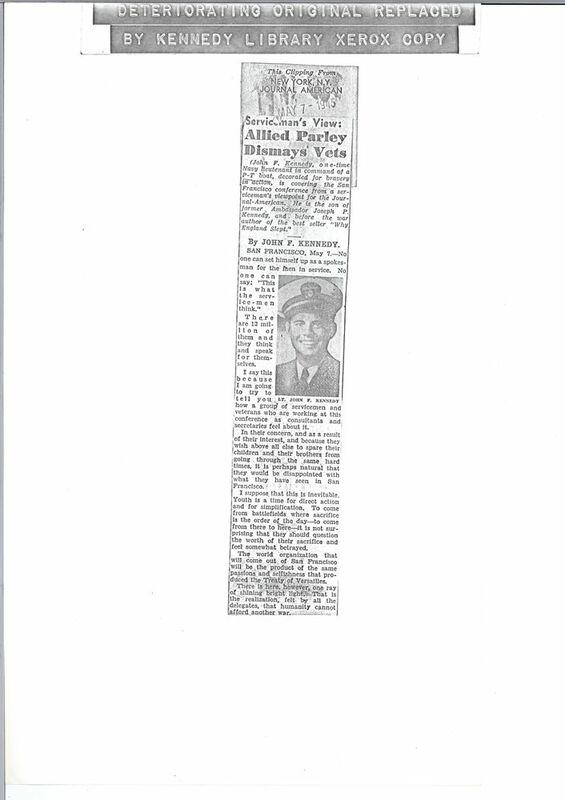 Hearst knew about John’s reputation, and his newspaper flaunted the handsome young man’s name and military heroism by letting him use the byline “Lt. 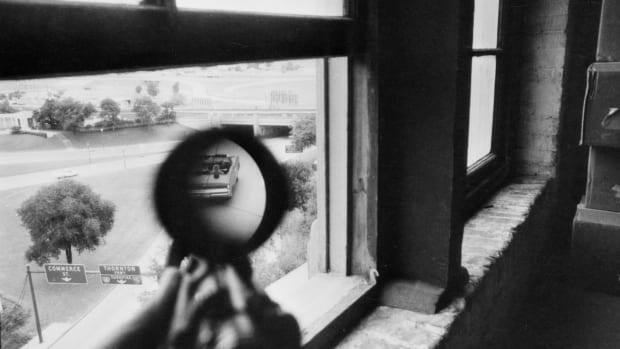 John Kennedy.” Many of the pieces were framed as “a serviceman’s view,” and published alongside his photo. Biographer Michael O’Brien writes that JFK’s initial pieces were “cliché-ridden, inconsequential, and boring,” and that they were so laden with John’s opinions that they probably belonged on the op-ed page rather than the straight news section. 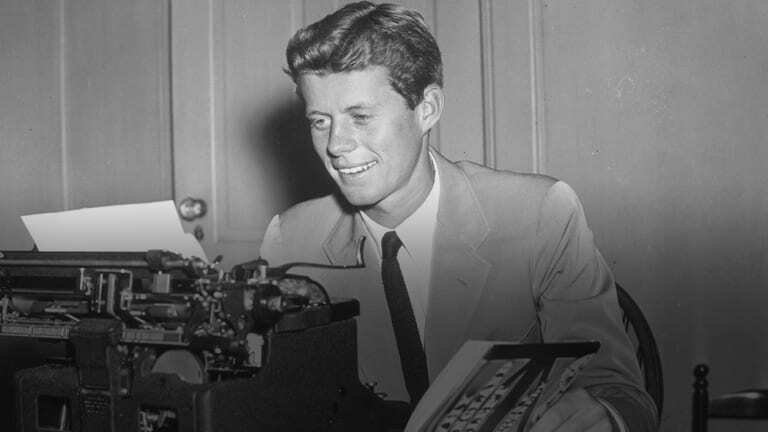 But over the course of his reporting, Kennedy’s writing improved and contributed to the public’s understanding of the complex political issues that emerged during the immediate postwar period. In his diary, the future leader of the free world recorded his impressions of the Potsdam Conference and Europe’s potential for ongoing peace. But though he consolidated many of his opinions about power, public opinion and governance during his summer as a reporter, his career in journalism was short-lived. By August 1945, he craved a more active role in public life. Within months, he was running for Congress, with the help (and pressure) of his powerful father. John F. Kennedy was destined to be a president, not a reporter. But his summer watching the world regroup from a catastrophic war set the stage for the careful dance of power and politics that would engage him for the rest of his life.